Register UniFi Dan Streamyx Secara Percuma , Mudah , Cepat & Get Rebate!! 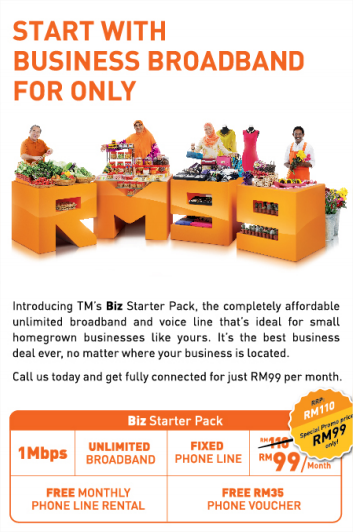 : NOW BUSINESS STARTER PACK RM99 ONLY!!! Business Broadband offers better value than ever with our exciting new packages! Business Broadband* brings the web's rich multimedia content to life, at up to 100 times the speed of an ordinary Internet connection. There's simply no better time to give your home or office the broadband advantage with Business Broadband.